The most remote of the successor kingdoms was Bactria, which comprised much of Afghanistan and Turkmenistan. The Diadochi were just as enthusiastic about founding cities as Alexander had been and emigrants continued to leave Greece and Macedon for the east for a generation after his death. The loss of manpower for Macedon was so severe that it was unable to maintain its great power status. The widely scattered cities founded by Alexander and his successors became agents for an enormous expansion of Greek cultural influence. Greek became the common language for traders and travellers from the Mediterranean and the Indus Valley. 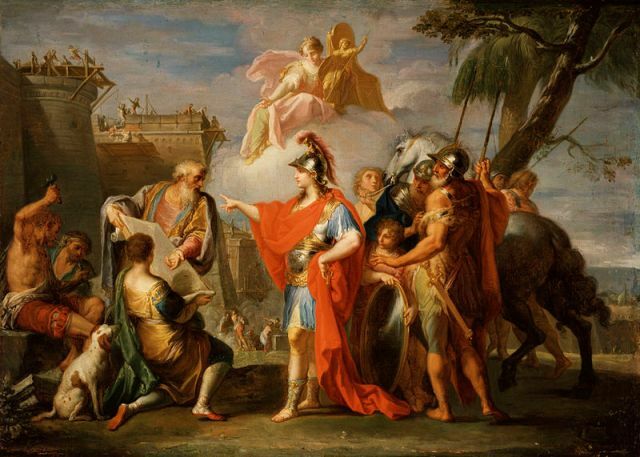 Alexander had created a vast melting pot in which aspects of Greek civilization were borrowed and adapted by the Egyptians, Persians and Indians to create a new international Hellenistic civilization. It was this, rather than his ephemeral empire, that was Alexander’s lasting achievement. At first, Alexander’s cities were simple garrisons left behind to police conquered areas, reinforced by veteran soldiers and resettled prisoners of war. The cities enjoyed mixed fortunes. Bucephala did not last a year: it was badly sited and was washed away by the first wet season’s monsoon rains. Alexander’s other foundations in the Indus Valley also did not last because the area was returned to Indian control after his death. However, when they were founded on strategic routes they often flourished because they attracted merchants and other civilian settlers. For example, many of Afghanistan’s most important cities, including Ghazni, Kandhahar, Farah and Herat were once Alexandrias. Far and away the most successful Alexandria was in Egypt. Its position on the Mediterranean close to the mouths of the Nile made it a natural entrepôt for trade between Egypt and the rest of the Mediterranean. The city’s original military settlers were soon joined by Greek and Jewish merchants and craftsmen and it began to grow explosively. 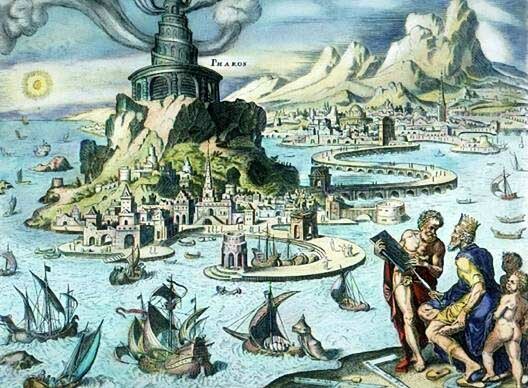 Under Ptolemy and his successors (there were 16 of them, 14 of whom were also named Ptolemy), Alexandria became the capital of Egypt and a rival to Athens as the leading cultural centre of the Greek world. The city’s most famous monument was its lighthouse, the Pharos. Completed in 275 B.C. it was regarded as one of the Seven Wonders of the Ancient World. Alexandria was notorious for the bloody riots that took place between its Greek majority and its minority, but privileged, Jewish community. Under Roman rule from 30 B.C., it remained important as the port through which most of the city of Rome’s grain supplies flowed, and, later, as a leading centre of early Christianity. After the Arab conquest in A.D. 641 the population gradually became Arab and Muslim but the Greek and Jewish communities remained important until the Second World War. 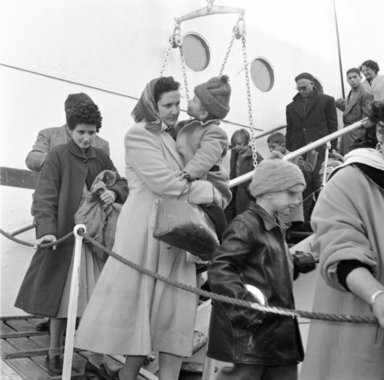 However, growing nationalistic hostility to non-Muslims forced the remaining Greeks and Jew to emigrate in the late 1940s. If Alexandria in Egypt was the most successful of Alexander’s Alexandrias, one of the most remote was Alexandria Oxiana, now called Ay Khanoum, a major centre of the Bactrian kingdom. Alexandria Oxiana was a perfect re-creation of a typical Greek city of the age, with a theatre, library, gymnasium, palace, fortified acropolis and city walls. Remote it may have been, but Alexandria Oxiana was not isolated from the Greek cultural mainstream. It was visited by the philosopher Klearchos of Soli (fl. 320 B.C. ), one of Aristotle’s students, and it contained a stele inscribed with 150 moral maxims copied from a column at the Greek sacred city of Delphi over 3000 miles (4800 km) away. In the middle of the second century B.C., Bactria was cut off from the rest of the Greek world by the expanding Parthian kingdom, but this outpost of Greek civilization held out for another hundred years before it was overrun by nomads. 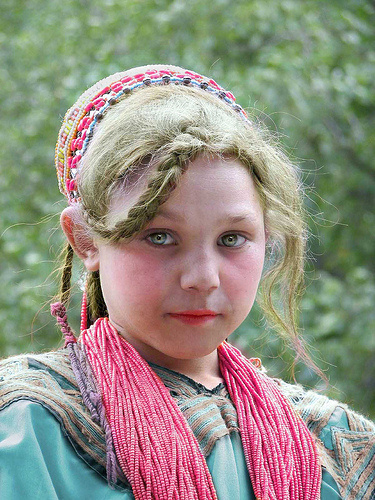 Folk memories of Alexander remain strong in this region and many ethnic groups, such as Burusho, Nuristanis and Kalash have a strikingly European appearance that gives credence to their claims to be descendants of Alexander’s soldiers. Alexander’s settlers were mainly men, and would have taken local wives, but there were tens of thousands of them, so their Y-chromosomes should still be present in local populations. Only more peaceful conditions in Afghanistan will allow scientists to test the truth of these traditions, however.